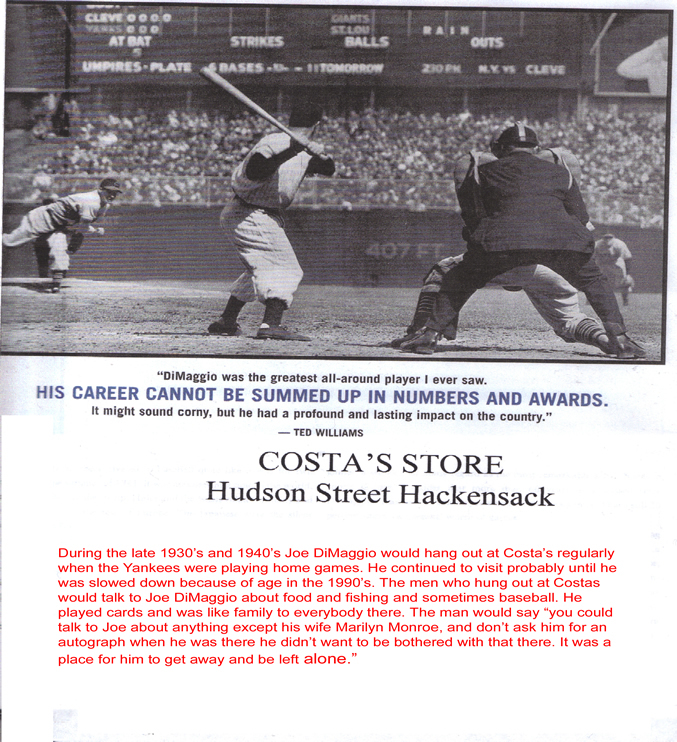 during the 1930's and 1940's, especially because he spent so much time in town and at Costa's, where Tom Meli met him. No one bothered Joe Dimaggio there; he was like family and no one asked for autographs and they all knew not to ask about his wife, who was the famous Marilyn Monroe. 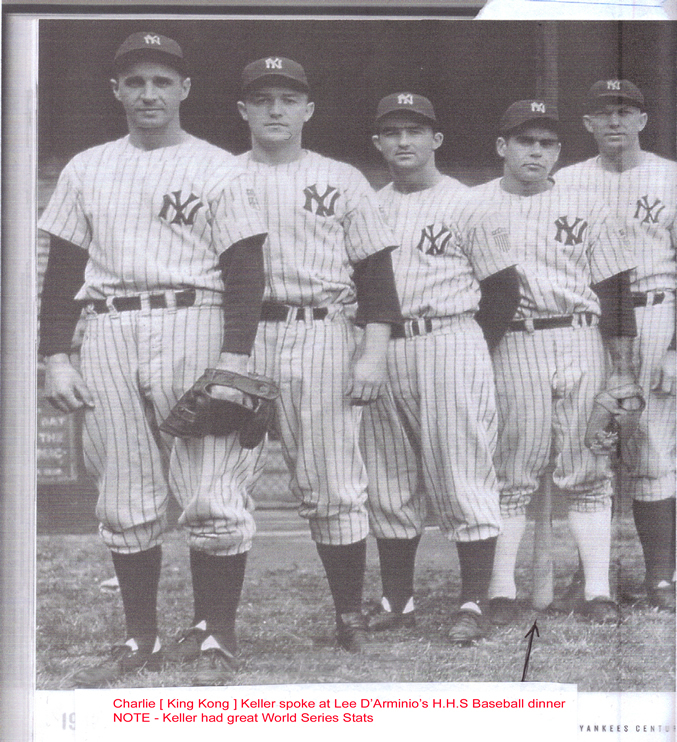 This is what he said, “Bob, I went into this coffee shop across the street from Goldberg's Slipper factory on Hudson Street around 1945 and there was this man named Remo Marchiano sitting at the counter and he was about 35 years old at the time. We all new him well, he was a slipper cutter in Goldberg's factory. Caption written by Bob Meli. 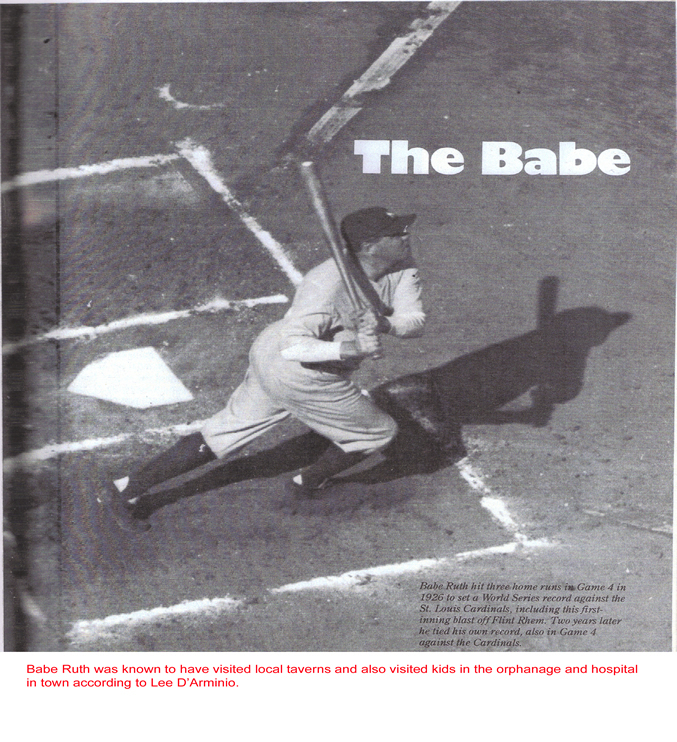 "Lee D'Arminio and John DeLia, who are both 86 years old, have both told me that Babe Ruth had played baseball at the Oritani Field Club Baseball field during the 1930's. They said he may have played before then also. The Oritani Field Club had a Baseball field with a grandstand where River Road is just below where the tennis courts are today. On a history channel documentary on the Black Sox scandal of 1919, it was mentioned that after Shoeless Joe Jackson was banned from baseball, he was seen playing in Hackensack. 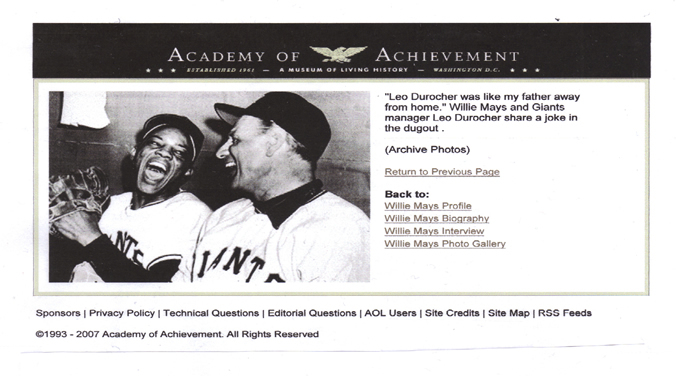 He would have also been playing on the Oritani Field Club Baseball field."